Mobile Phone subscribers in India need not envy the Blackberry crowd any more as they can now convert their regular cell phones or smartphones into a Blackberry like push mail devices for free. 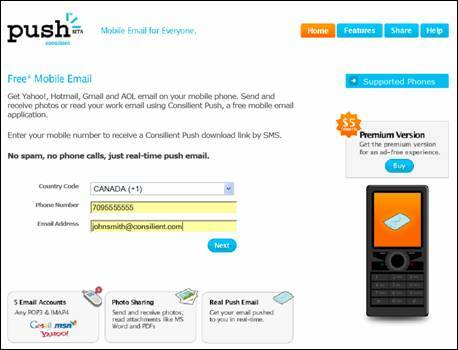 Consilient (former partner of RIM) today entered the Indian market with their free push e-mail service that will bring your GMail, Yahoo Mail, Hotmail or any other POP3 / IMAP mail right on the cell phone screen. Consilient Push Mail also supports most file attachments including PDF, ZIP, Excel and Word.